Think back to all of the predictions and assurances we heard throughout 2012. Unemployed would finally drop to no more than 7%, Wall Street would get it together, the fiscal cliff was just a silly new catchphrase that would mean nothing by the time the end of the year rolled around and credit card debt would begin to increase the further into the year we went. Of course, with hindsight, we know those predictions didn’t exactly come full circle. As we gear up for the end of the year, we thought it would be interesting to see just how well some predictions panned out since we rang in 2012 and now that we’re about to ring in 2013, what can we look forward to? (Here’s a hint: this just might be the biggest unpredictable year in American history; in other words: assume nothing). 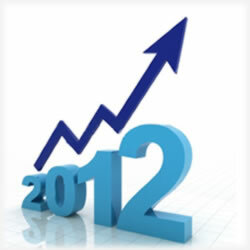 Moody’s Investors Service projects that the nationwide total credit card debt will grow 6% in 2012. Unfortunately, the six largest lenders in the U.S. – Discover Financial, American Express, Bank of America, Capital One Financial, Citigroup and JPMorgan Chase didn’t exactly see that $518 billion increase and instead, they saw a year closer to what 2011 brought us – a drop in balances. Even when the predictions were being made, we were wondering what made Wall Street analysts believe that; after all, there were promises that the economy was improving, but very few signs of life. Besides, had the debt actually increased, it would have been the first time since 2008 that it happened. In 2008, credit card debt totaled $672 billion. The national credit card delinquency rate continues to remain at the lowest levels we’ve observed in 18 years. That’s actually good news for consumers, but not so much for lenders who earn money on all that debt. There was one dynamic that held true, though that analysts said would come full circle throughout the year. The recession resulted in most of us rethinking the way we see and handle our credit card debt. While we’ve always cautioned readers to understand credit card delinquencies were hitting record lows not because folks had the money to meet their monthly obligations but because they didn’t have funds to maintain their payments. As a result, a lot of credit card debt was put into the “noncollectable” column, which isn’t counted afterwards. Most of those accounts went into some kind of collections status, either sold for pennies on the dollar to collection agencies or simply written off. The Benghazi scandal continues to heat up and in recent days, a new scandal involving now-former CIA Director David Patreaus has lawmakers’ attention. Testimony is set to begin this week on the Libya crisis, which means lawmakers won’t have time to deal with the fiscal crisis. Congress – both the Senate and the House will be in session through the rest of this week and when they leave on Friday, November 16th, they won’t return until after the Thanksgiving holidays. They will be in session for four days beginning November 27th through November 30th. They return on December 3rd for another four days, ending on December 6th and they return on December 11th and are there for about three and a half days – they depart for Christmas on the 14th. That’s it. Naturally, there are legitimate concerns. Concerns, too, about Obamacare are disconcerting. Many retailers have come out since the election results and announced layoffs as a result of their frustration with being forced to put into place President Obama’s health care program. Consumers aren’t spending money. The question now, is, what happens as consumers head into the busy shopping season? Will we be splurging a bit more this year to offset the struggles faced during the year or will Americans keep their spending in check? Western Union Business Solutions in Washington survey director Richard Curtin said the re-election of President Barack Obama should not have a drastic impact on consumer expectations, but he also warns that if Washington doesn’t act quickly to avert the fiscal cliff, we could see $600 billion in automatic spending cuts and tax rises. This could be catastrophic for consumers and as Doug Elmendorf with CBO said, “this will singlehandedly lead to a recession in 2013”. Many are convinced that “the chances of a comprehensive legislative solution to the fiscal cliff before January 1 are considered slight” and should Congress make an obligatory last minute and temporary fix to buy time, it will not bode will with taxpayers. Finally, there’s the frustrating unemployment numbers. After falling to 7.8% last month, this past Friday, the number ticked back up 1/10th of a point to 7.9%. What were your thoughts when predictions began last year that 2012 would see big improvements? Were you convinced and what are your thoughts as we gear up to head into 2013? Think we’ll be able to avoid the fiscal cliff? Will the congressional grinch steal Christmas? Share your thoughts with us.